Photos courtesy of a Long Beach Post reader. 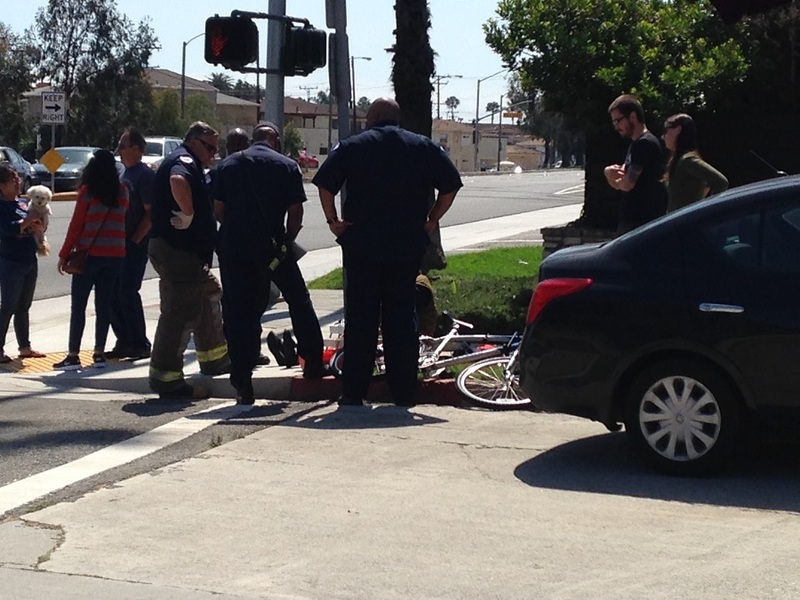 Update | No injuries were sustained in the collision between a car and a cyclist at Second and Livingston streets in Belmont Shore Monday, the Long Beach Fire Department (LBFD) said Monday afternoon. According the LBFD Press Information Officer Brian Fisk, the situation was downgraded and the cyclist was not transported to the hospital. 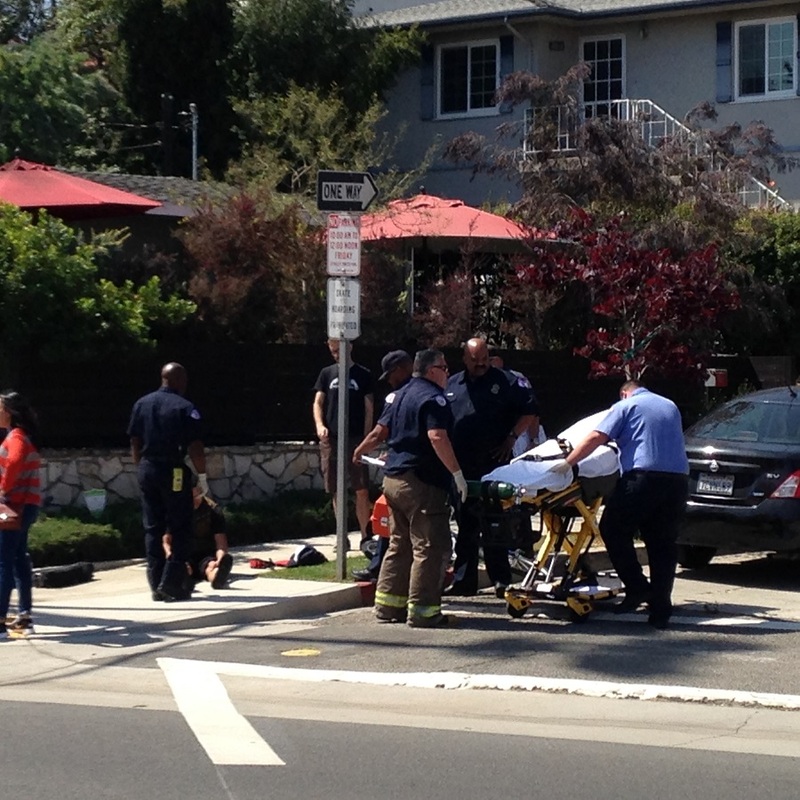 5/4/15 2:59PM | A cyclist was hit by a car today at the intersection of Second Street and Livingston Drive in Belmont Shore. According to the Long Beach Police Department (LBPD), police officers were dispatched to the scene at 2:41PM on Monday. 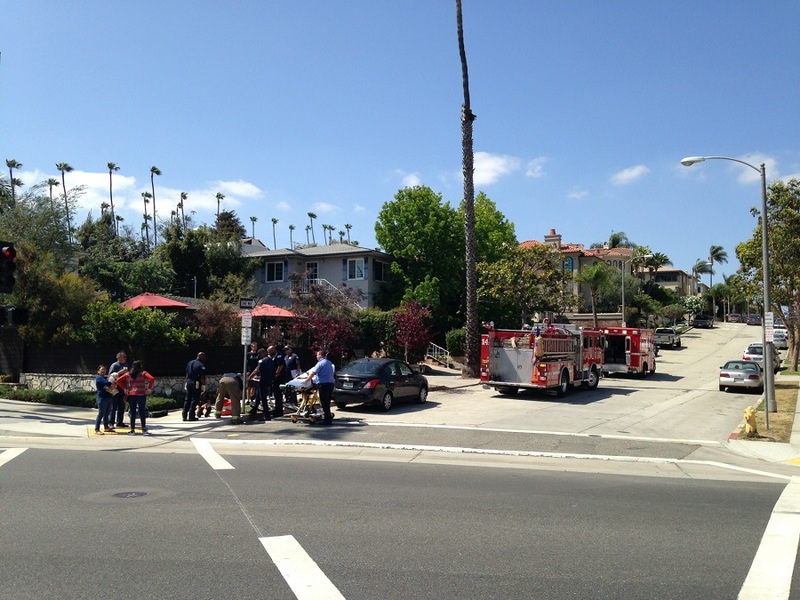 The officers were joined by Long Beach Fire Department (LBFD) personnel and an investigation is currently underway.